Visiting the Carl Junction Bluegrass Festival? Click here to go to the Bluegrass Festival page! The 21st annual Carl Junction Bluegrass Festival is now a 3 day event, with the addition of Sunday’s “Pick’n & Picnic’n in the Park”! After church, bring your picnic lunch, blanket and chairs and enjoy a FREE one hour concert of bluegrass music by Picker’s Post! Donations will be accepted for the Carl Junction Helping Hands Food Pantry. 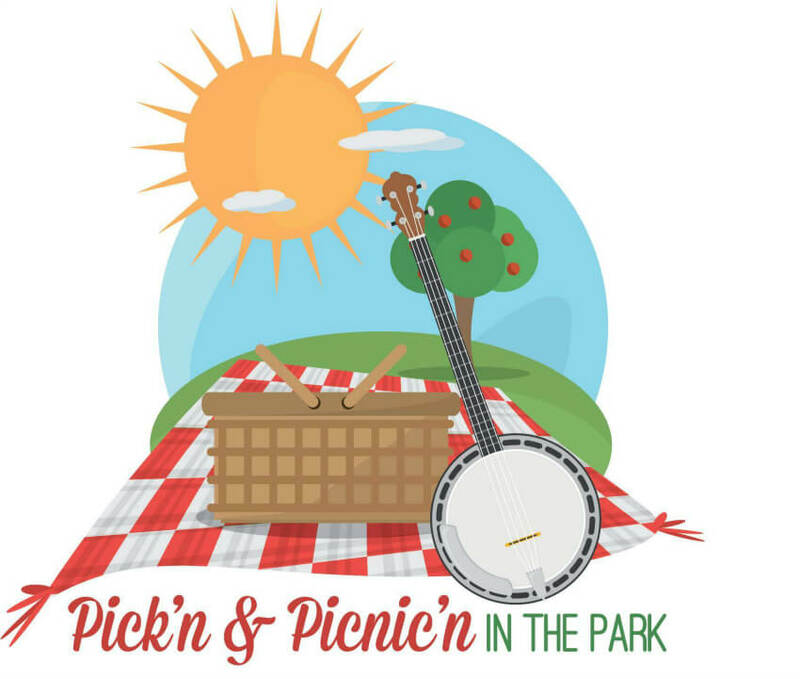 Pick’n & Picnic’n in the Park will be held Sunday, September 23 at 1 pm in beautiful Center Creek Park. Whether you are a for-profit organization, or a non-profit, everything starts with the sale. “Sales” is all about persuading an individual or group that they need what you have. Join us for the first iMPACT Sales Training Program, where you will learn sales techniques designed to help you attain the results you’ve been looking for. Our workshop will arm you with some new techniques, as well as some “golden oldies”. Of all our seminars, this may be the one to bring members of your organization to so that they can elevate their sales level. Each attendee will get a iMPACT Sales Training Program 101 Certificate for attending. Workshop includes a free lunch. Workshop sponsored by Brad McIntyre Edward Jones. Instagram is one of the fastest growing social networking platforms, Consumers are visually motivated, and a picture is worth a thousand words, and a few dollars, too. This workshop shows you how to utilize Instagram in your marketing plans and will provide tips on how you can finish the year strong in the final quarter of sales, by using Instagram. This workshop is facilitated by the MSSU SBDTC, is provided no charge, and a lunch is provided, courtesy of the workshop sponsor, Southwest Missouri Bank. or phone the Chamber at 417-649-8846. A study of the Geisha is planned for October at Urban Art Gallery in downtown Joplin 511 South Main Street. A wonderful show of beautiful watercolors by artist Merlen White from Neosho is on the walls. That being said, Urban Art owner, Linda Teeter, thought it was time to have a little fun with all things Japanese themed. So, you are invited to a Carl Junction Chamber Wineshare to be hosted by the Gallery October 25th. Bring your favorite wine or craft beer to share. The event is for members and their friends from 5:30-7:30pm. Come enjoy a fun evening with the artist. Participants will be made aware of the importance of having a digital marketing plan in this lunch and learn hosted and facilitated by the Missouri Southern State University Small Business and Technology Development Center. With 75% of people searching online, and 70% of businesses having no online marketing strategy – this workshop will learn how to bridge that gap and give participants the tools needed to develop their own digital marketing roadmap. Workshop will be facilitated by the MSSU SBDTC. This workshop is no charge, however seating is limited and a reservation is required. The Carl Junction Area Chamber of Commerce will host a free document shredding and recycling event on Saturday, November 10. The event, entitled “Shred-A-Palooza” is being held in conjunction with America Recycles Week. Personal identity theft and fraud is on the rise. Identity thieves refer to trash day as “cash” day. Your trash contains personal information on documents you casually discard, such as credit debit card receipts, credit card statements, paycheck stubs, investment account statements, as well as phone and utility bills. The Carl Junction Area Chamber of Commerce encourages area residents avoid potential identity theft, and to bring their paper products and sensitive documents to the upcoming free recycling event, Shred-A-Palooza. Shred-A-Palooza will feature a large, mobile shred truck, to offer a great opportunity to safeguard your identity and protect yourself from fraud. All shredding will be done onsite by CRC Shredding, a division of Computer Recycling Center. NAID AAA Certified. All items will be responsibly recycled. This event is free and open to individuals and businesses. There is no limit on amount you may shred. Paper and cardboard recycling will also be accepted during this event. Volunteers will be on hand to assist you with items to be shredded. Shred-A-Palooza is being presented in partnership by the Region M SWMD and the Carl Junction Area Chamber of Commerce. The free event will be held Saturday, November 10, from 9 am to 12 pm at the Carl Junction Area Chamber of Commerce, 205 N. Main. For more information, please contact Jennifer Shotwell at 417-649-6400. Ribbon Cutting Crazy Llama Coffee & Grand Opening Celebration! The CJ Lions Club invites you to this year’s CJ parade! “Merry Christmas Carl Junction”, Sunday, December 2nd. Parade starts at 2:00. Route starts at Wells on Main and runs to the parking lot at the CJ Community Center! If you would like to be a parade entry in the parade lineup starts at 1:00 between the school buildings on S. Broadway. OPEN UP 2019 WITH A BANG! CJ Community Center. Sponsored by Brad McIntyre, Edward Jones. It is said that if you fail to plan, you are planning to fail. That is not what you want for the new year, so let’s “OPEN UP 2019 WITH A BANG! Look at the challenges organizations will be facing in 2019. The 5 P’s: Preparation, Promotion, Price, Productivity and Problems. Look at your personal development. The 5 T’s: Time, Talent, Tasks, Testing and Training. We will have several door prizes to be given away and each participant will receive an ”Open the Future” Workbook! SHOP WITH A CARL JUNCTION COP! Small Businesses are Big Targets! Tuesday, January 8, 11:45 – 1 pm, Carl Junction Community Center, 303 N. Main. Small Business is now the #1 target of cyber terrorists around the globe. In this presentation we will discuss the cyber threats that are focusing on small business and discuss the best ways to keep your system, your business and your money safe. Utilizing his 30+ years of computer industry experience and consulting, President David Endicott will focus on the latest information technology for how to protect you and your business from cyber threats. Reservation required. Seating is limited. Join us for an action-packed afternoon of speed networking with your fellow CJACC members! Learn how you can cross-promote your business with other members to bring in more customers. Bring your business cards and your “elevator speech” to make one-on-one connections. Don’t have an elevator speech? We’ll help you develop one! Network, Trade Referrals & Exchange Leads! 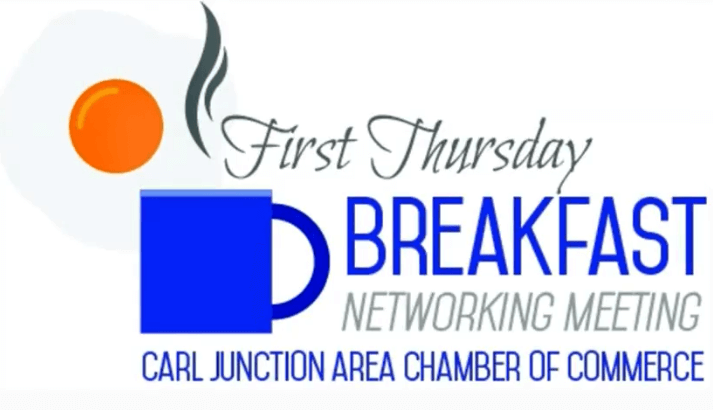 A great time to promote your business and network with other chamber members! This fast paced workshop will offer tips on how to make your presence at any EXPO or trade show stand out. Find out how, Thursday, February 14th from 11:45 – 1:30, in the Media Room at the CJ Community Center, 303 N. Main. Lunch is $5.00 and the workshop is being underwritten by BRAD McINTYRE EDWARD JONES. Please RSVP to martha@carljuncitoncc.com or the Chamber office 417-649-8846. Stealth Creative will walk through the key aspects of the best channels for businesses, including audiences, users, pros and cons, and the differences of each. Next they’ll dive into more tactical aspects, including adding cover photos, bios, profile pictures and best practices for creating posts. You’ll walk away with clearer insight into which channels will work best for your business and ideas for the types of posts that will resonate with your customers as well as a better understanding of how to use key platforms, including Instagram. Presenters: Laura Maly, VP, Marketing Strategy & Social Media, and Jill Tanner, Social Media Specialist will be traveling from Stealth’s HQ in St. Louis, MO, to give this exciting, information filled workshop. You don’t want to miss it!